the secret project revealed! this is the sculpt for a fully licensed collectors mask of horror icon Vampira. Once complete she will have acrylic eyes, lashes, hair and sit upon a custom stand with nameplate. Edition size and price tba. The secret project I've been mentioning for a while is almost complete! 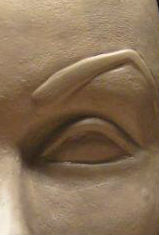 I just sent images of the final sculpt for approval and it looks like we're good to go, so I'll post a little teaser here: I will be doing final texturing and tweaking this week then she goes to mold. work will begin on her eyes and base/nameplate this week as well, then she'll be unleashed on an unsuspecting human world! Also working on a second secret project that I've been at for a while it seems, but can't report much on that other than to say the sculpt it almost complete and I will be submitting it as well. 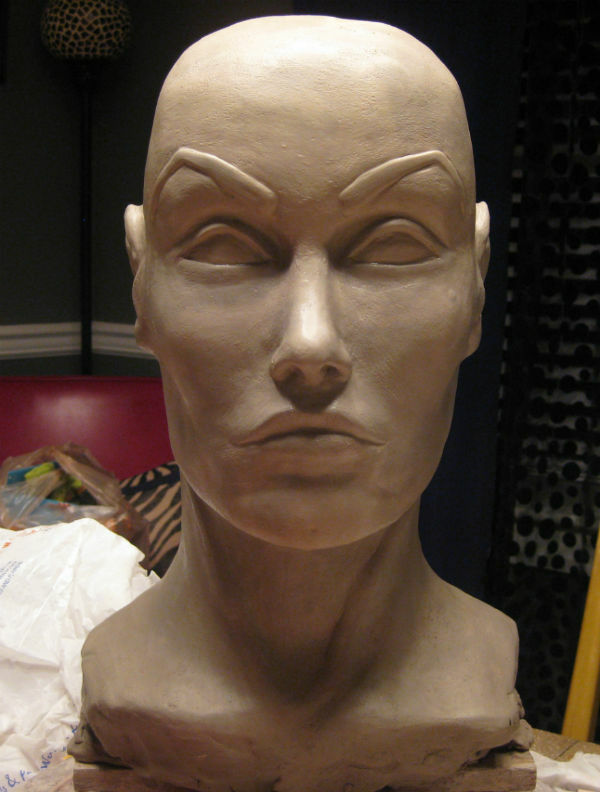 Work continues on the Anton LaVey bust as well, and hope to have something on that soon as well. Last, it's not official as of yet but plans are in the works to be a part of MaskFest this year in Indiana. More news on that as it surfaces. That's all for now!